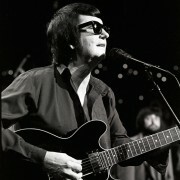 Neville Brothers and late rock & roll legend Roy Orbison. 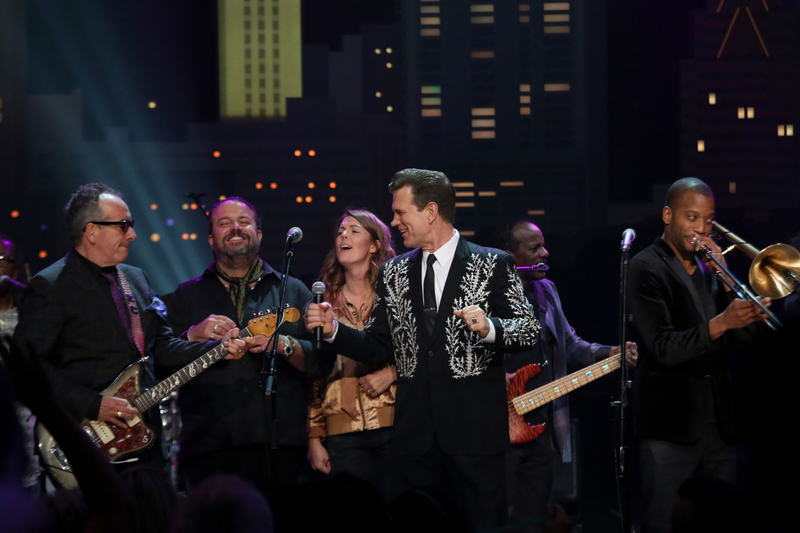 The evening featured one-of-a-kind music performances and tributes from Elvis Costello, Brandi Carlile, Neko Case, Ry Cooder, Dr. John, the Mavericks’ Raul Malo, Trombone Shorty, the Nevilles Band and host Chris Isaak. 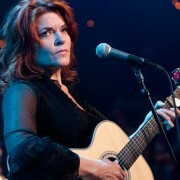 After Isaak introduced honoree Rosanne Cash, Elvis Costello inducted his friend, noting the power and skill in her voice and words. 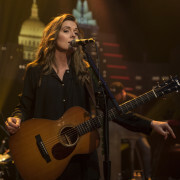 Cash accepted her award with humility, explaining how ACL helped her feel part of a music community when she was starting out, making her ACL debut in 1983 at age 28. 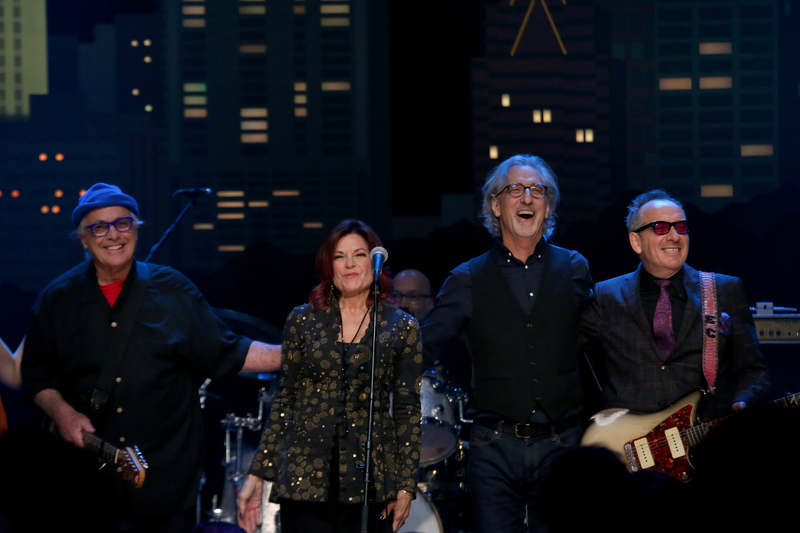 Costello returned, along with Cash’s husband and creative collaborator, guitarist and producer John Leventhal, for the stirring affirmation “April 5th,” a song co-written by Cash, Leventhal, Costello and Kris Kristofferson. Spiritual descendant Neko Case took the stage next, for a transcendent version of the aching and defiant “What We Really Want is Love.” Cash herself re-entered with her friend (and guitarist extraordinaire) Ry Cooder for the sparse, strong “A Feather’s Not a Bird” – a song from Cash’s 2015 triple-Grammy-winning album The River & the Thread and proof that she’s as brilliant now as she’s always been. 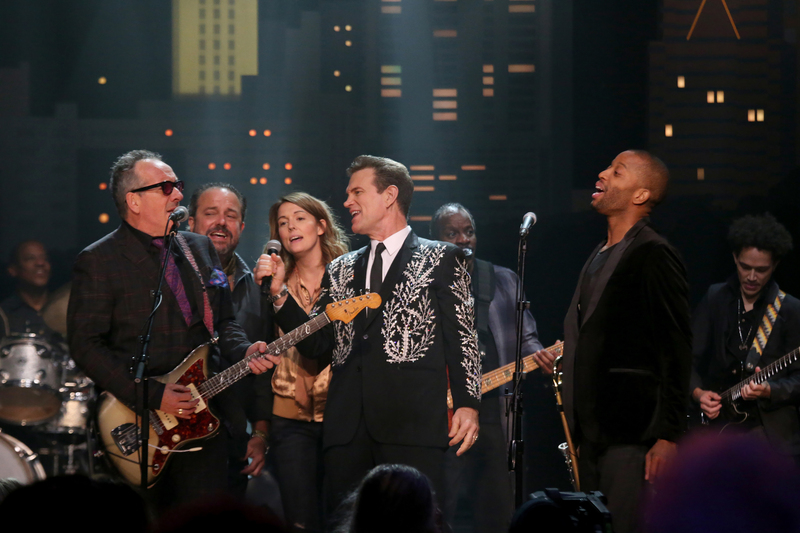 Costello and Case came back for “Seven Year Ache,” Costello alternating chorus vocals and Case and Cash sharing harmonies like they shared an episode back in 2003. House bandleader & ACL Hall of Fame inductee Lloyd Maines introduced the ace house band including guitarist David Grissom, bassist Bill Whitbeck, drummer Tom Van Schaik and keyboardist/mandolinist Chris Gage. 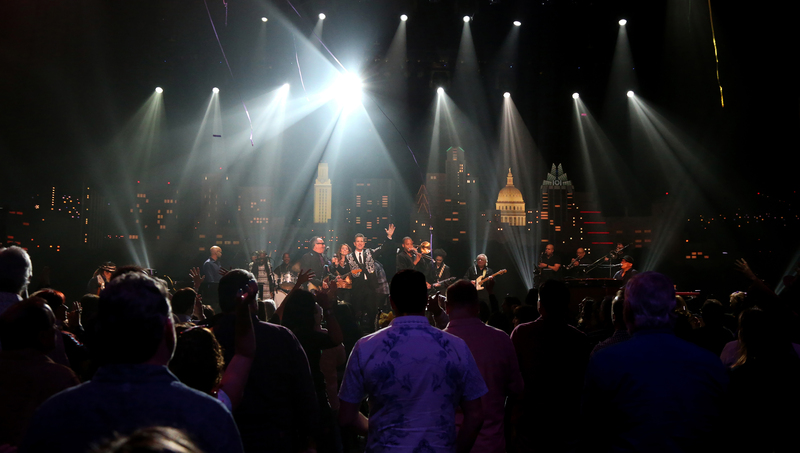 Then it was on to intermission, as Minor Mishap played, the audience danced and the ACL crew reset the stage for the grand finale. The second half of the show brought the funk, with a celebration of New Orleans music. Given that the sad news of the passing of rock & roll pioneer Fats Domino broke earlier in the day, ACL elected to open with a video of the New Orleans icon singing “Blueberry Hill,” taken from his classic 1987 ACL episode. The first induction of the second half honored a non-performer – the 50th Anniversary of the Public Broadcasting Act, signed by President Lyndon B. Johnson in 1967. The milestone signing helped pave the way for PBS. Johnson’s granddaughter Catherine Robb and Amy Barbee, chairperson of the LBJ Foundation, accepted the award. 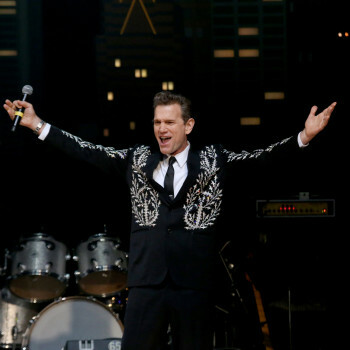 Isaak returned to the stage to introduce the first family of New Orleans music: the Neville Brothers. New Orleans sensation Trombone Shorty, a kindred musical hybridist, inducted the family with colorful stories about the Nevilles with whom he lived and toured as a child. 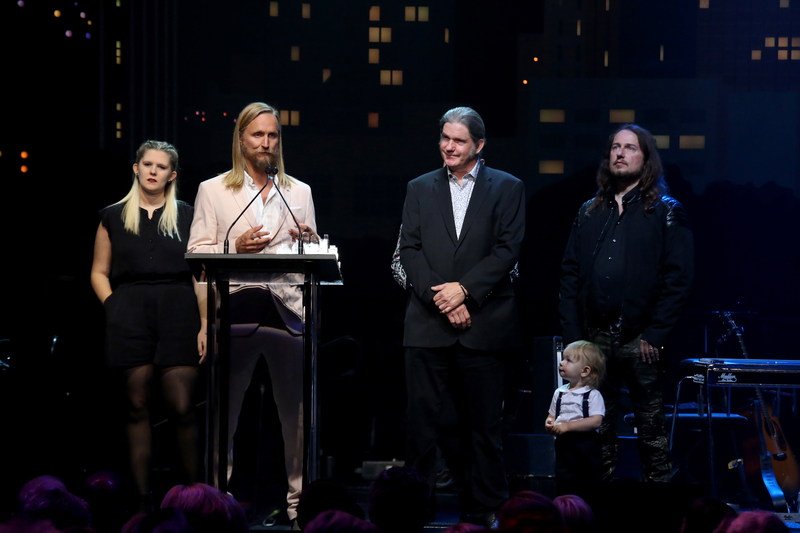 While the brothers couldn’t be there, Aaron Neville’s son Ivan, Art’s son Ian and Charles’ son Khalif accepted on their behalf before taking their places behind their instruments (keyboards, guitar and more keys, respectively). 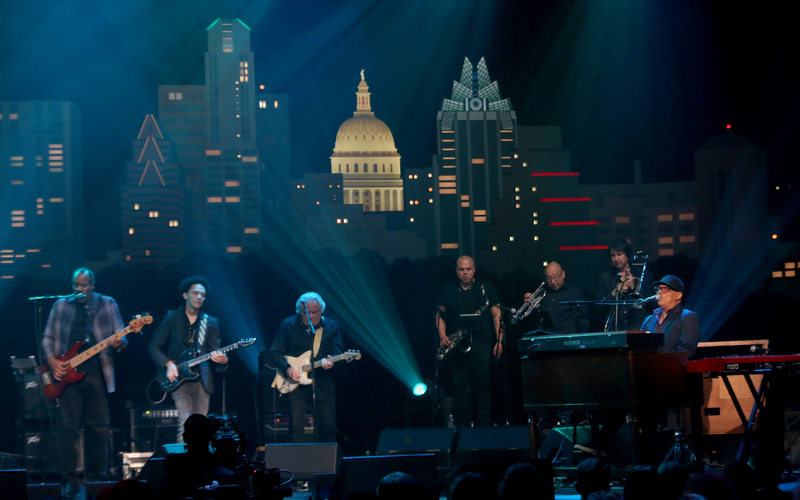 Ivan introduced Dr. John and Elvis Costello, who came up to help with a rollicking take on “Ain’t That a Shame,” in tribute to its author Fats Domino. But the music wasn’t over yet. Ivan brought Dr. John back to the stage for “Big Chief,” the Earl King-penned/Professor Longhair-popularized shout that has been in the repertoire of nearly every New Orleans and N.O.-inspired dance band for five decades. 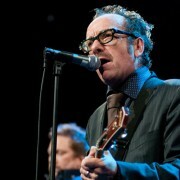 Elvis Costello rejoined Shorty, the Night Tripper and the Nevilles for a distinctly New Orleans groove through the traditional standard “Down By the Riverside,” which ran directly into its musical cousin “Amen.” That song brought Isaak, Carlile and Malo to the stage as well, and the audience was on their feet, ready to join in Ivan’s call-and-response. 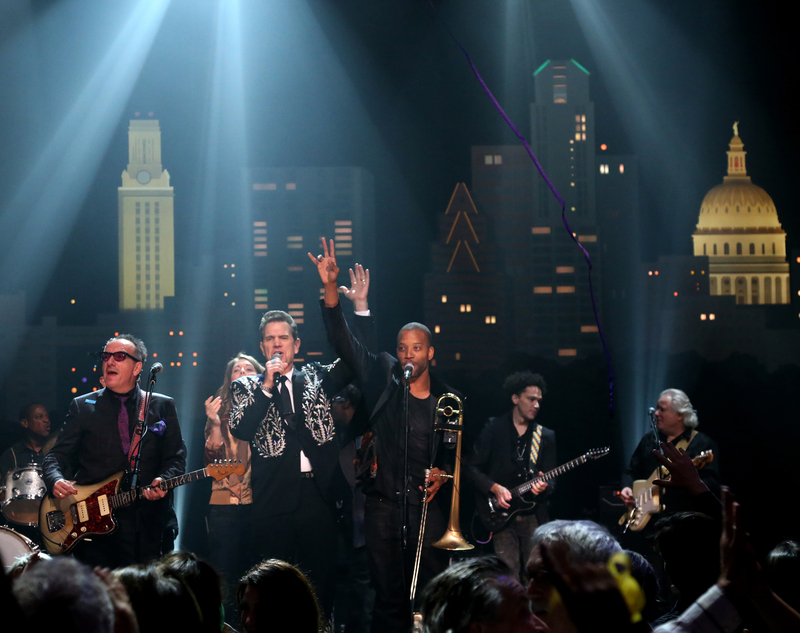 As the song reached its climax, confetti burst and the musicians rang in the Austin new year a couple of months early. The roof was raised, and the 2017 HOF celebration came to a close. Viewers everywhere will get to join this party when it airs as a special broadcast on New Year’s Eve on your local PBS station.